Spacious contemporary beachfront retreat with a fireplace! Panoramic Gulf views, 2 decks, an open floor plan with vaulted ceilings, and a bright, airy interior make this the perfect choice for families vacationing together. Four of the five bedrooms have deck access, and they all have an attached bath. When you're not at the beach, multiple satellite TVs with DVD players will keep your group entertained. 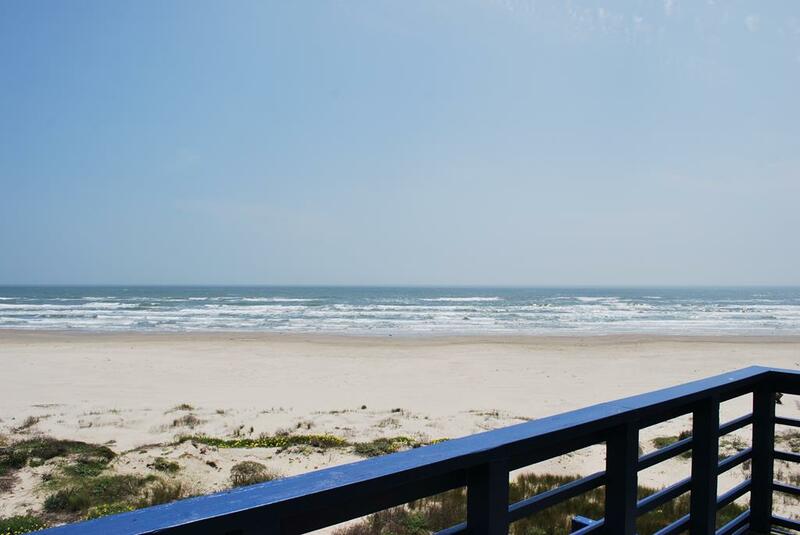 You'll enjoy spectacular views from the covered and open decks, and the beach is right in your front yard! 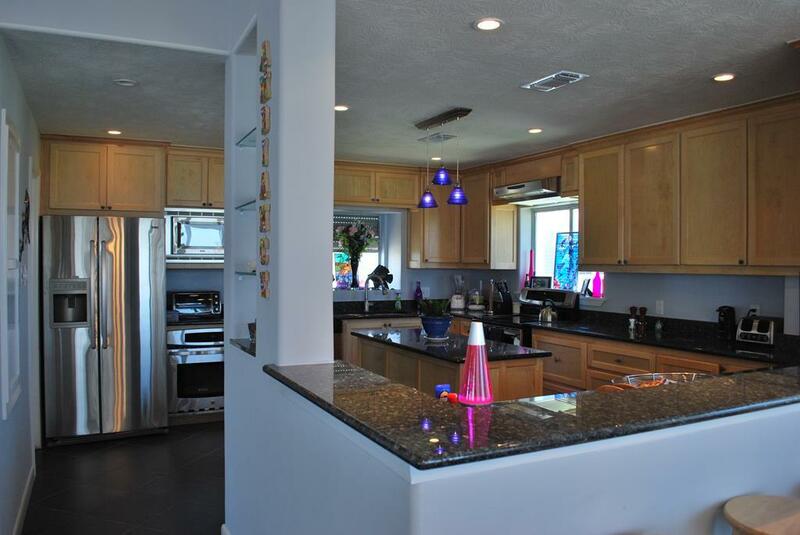 The pictures on the website do not do this property justice! The house is absolutely beautiful! It is much bigger than what it looks. Very clean, absolutely beautiful view The pictures on the website do not do this property justice! The house is absolutely beautiful! It is much bigger than what it looks. 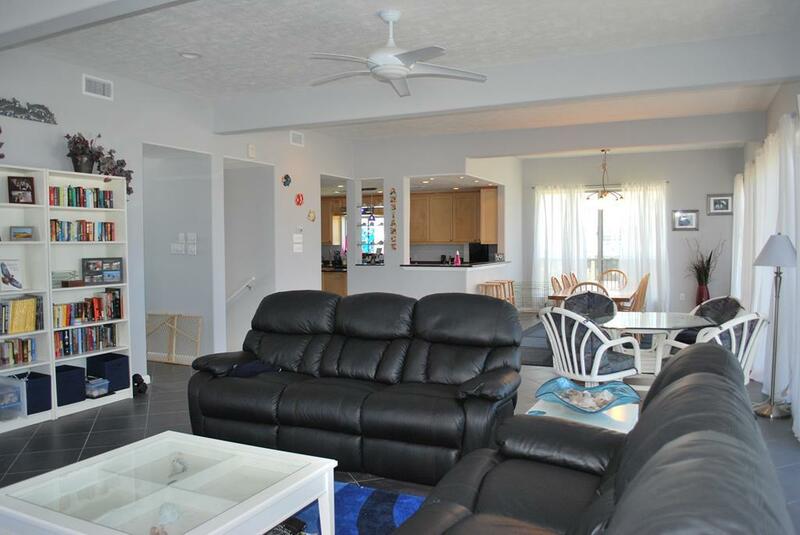 Very clean, absolutely beautiful views Of the beach, And very spacious! 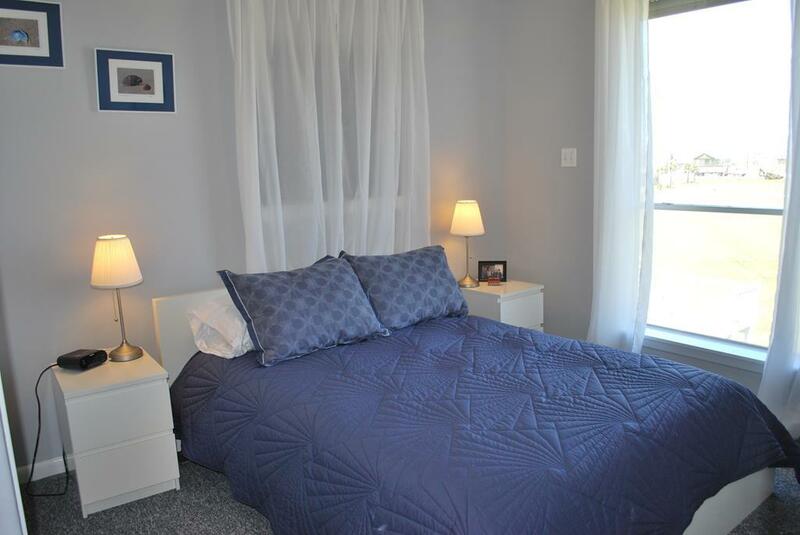 Very comfortable, spacious, family-friendly environment. All the comforts of home on a beautiful beach. Stairs inside cause some concerns if you have small children. The house was great and the beach very nice; our only issue was the level of mosquitoes which was very high especially walking through the dune. A complete up and over the dune would have helped some with this issue (as well as seeing a rattlesnake on the lower level of the walkover). I realize the heavy rains the week before our arrival was responsible for the insect issues and the wind seemed much lower than usual during during our stay. Over all the house is great (more storage for guest supplies would have been nice), the kitchen large and well equipped--loved the wine cooler to save room in refrigerator, and we all had a good time! 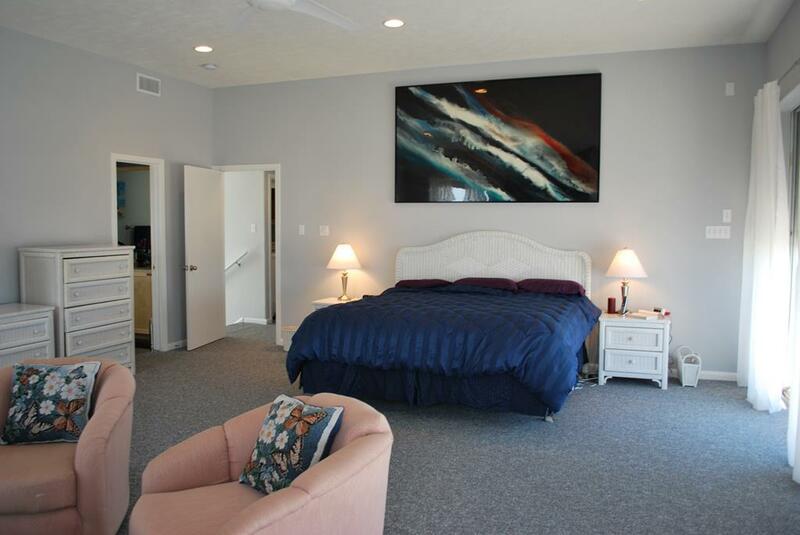 Do note that the master suite is awesome, but the other bedrooms with queens are very small. The Wi-fi is terrible. Otherwise, a great experience. A beautiful beach front property for a family gathering. Great location to view the Gulf and feel the breeze. Easy access to the beach from the house. Lots of room to spread out and enjoy the stay. This home is great to stay at, just keep in mind that it will probably be hotter on the main level than the bedroom level. There were way too many pots and pans, it left no room for groceries. Wish there had been second refrigerator. The setup of 5 bedrooms/3 baths is great for a large family. We had 4 generations; the stairs were a bit tricky, but the octogenarians stayed on main level so as to not use beyond going outside and back. The kitchen was almost a bit OVER-stocked with pots/pans etc. and made locating them a challenge...but kudos for giving so many choices! My main suggestion: Since this property is quite expensive (more than $1000 per night) I think basic paper products and kitchen soap, etc. should be supplied. Our cars were packed to the brim with trying to bring toilet paper and paper towels, etc.... not to mention salt/pepper/sugar coffee filters...Perhaps housekeeping could just stock those items in one of the many empty closets. The furnishings were nice, and we had a great time! 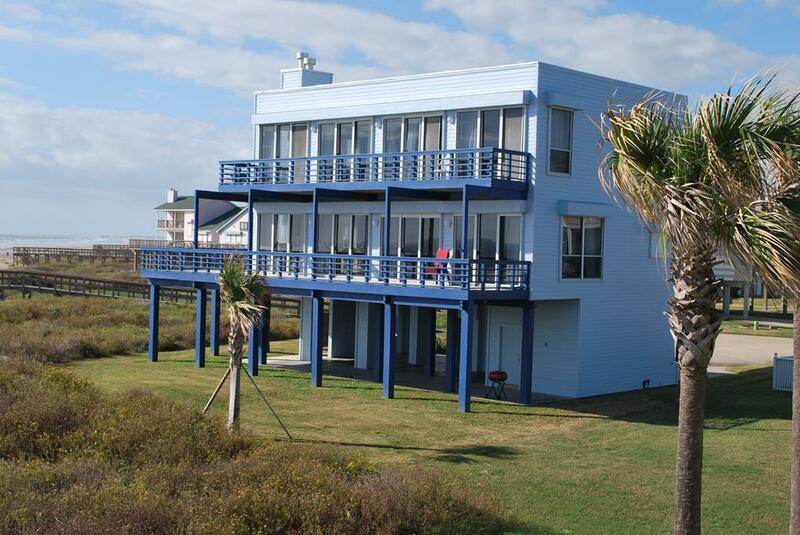 This a great house for a large group and the beach is very well maintained. WE LOVED THIS HOUSE. PRIVATE GRASSY AREA DOWNSTAIRS. LIVING AREA VERY SPACIOUS. DINING TABLE LARGE ENOUGH FOR EVERYONE TO EAT TOGETHER. STURDY DECK FURNITURE. EVERYTHING YOU COULD POSSIBLY NEED IN THE KITCHEN. ONLY ONE FRIG (WE'VE HAD TWO IN OTHER HOUSES). AC SUPER COLD AT NIGHT. VERY EFFICIENT WASHER/DRYER. ALL TVS WORKED WELL. GREAT WIFI RECEPTION. STORED IN CLOSET: TWIN ROLLOWAYS, TWIN INFLATABLE MATTRESS, PACK N PLAY. OUR ONLY PREFERENCE WOULD HAVE BEEN CLOSER ACCESS TO BEACH BECAUSE OF KIDS GOING BACK AND FORTH - AN ADULT HAD TO ACCOMPANY. the house was comfortable for all sizes (adults and kids). never seen a kitchen so well furnished!! 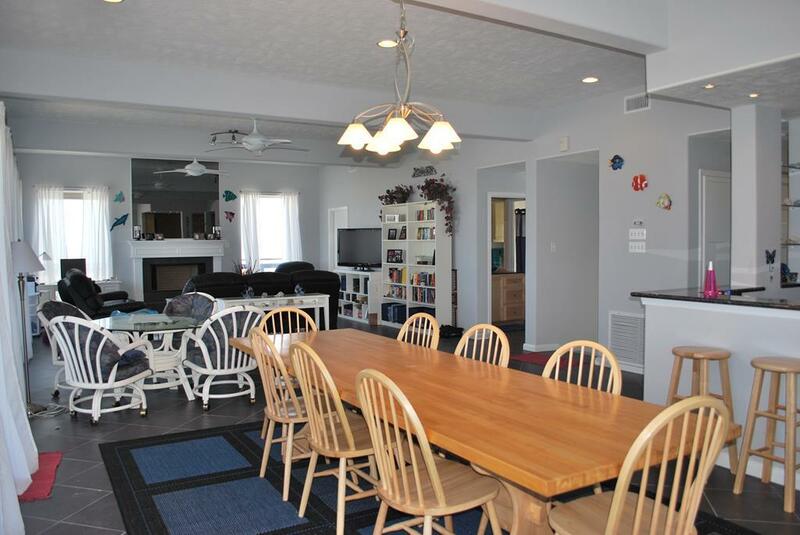 easy access to the beach; we would gladly rent this property again. 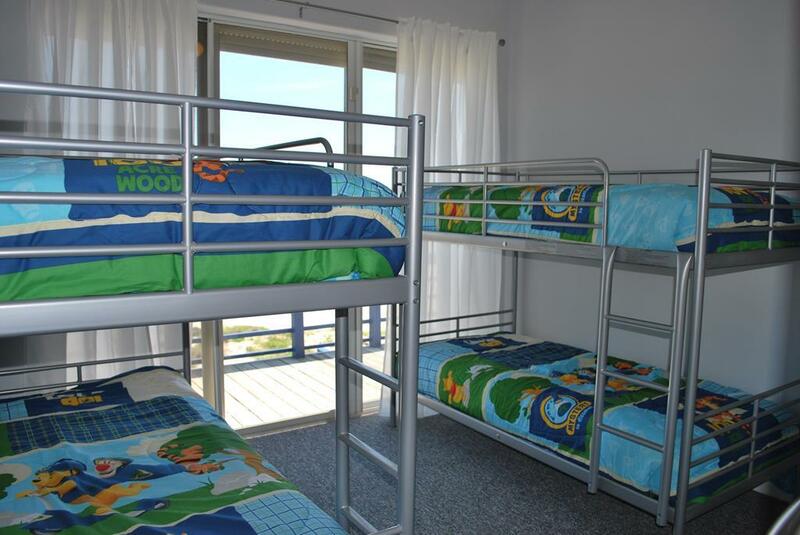 It is an excellent family vacation home right at the beach! The house was extremely satisfactory to all our family members from 10 yrs to 71. We all had a really great time at the beach, as well as in the house. Kudos to all the rental staff for their help & time in getting us all set up for a remarkable weekend. The Ambiance easily met the needs of a large group. 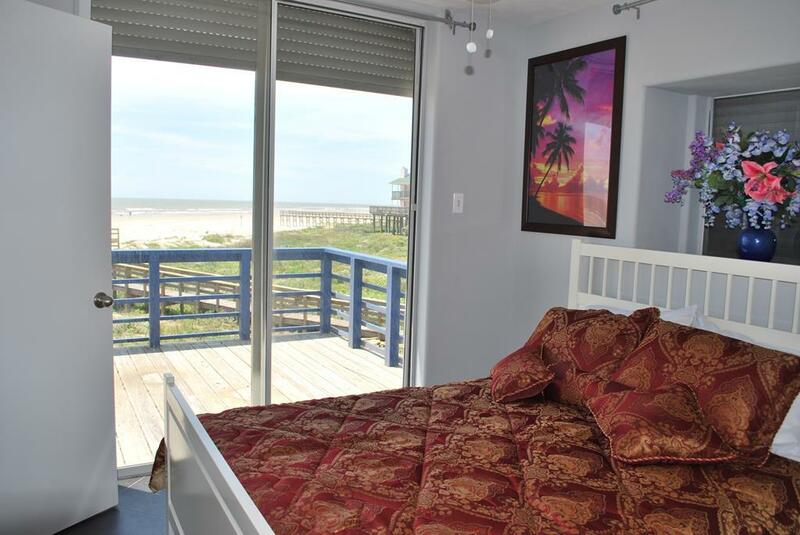 The view of the gulf from the entire downstairs and the master bedroom are unbeatable! Easy access to the beach and the beach felt private. Only a few others using that stretch of sand. Again, the views are the best! The kitchen is very well stocked with equipment and 2 ovens. 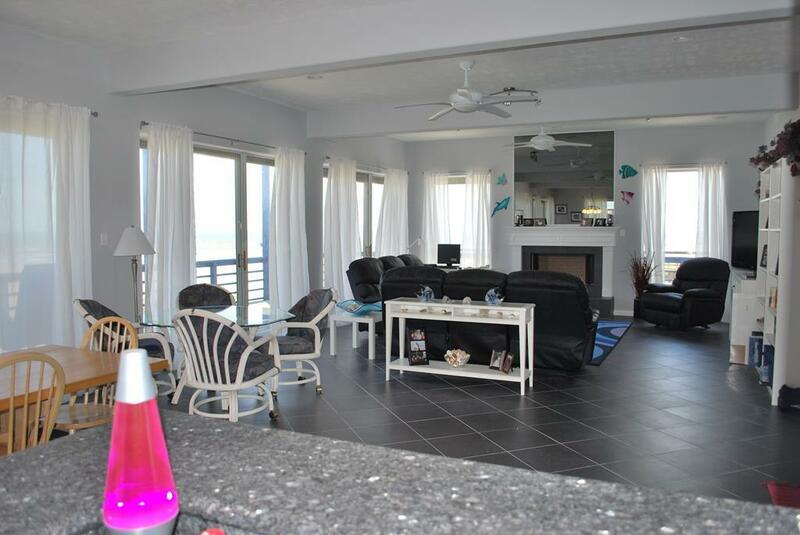 This property is great for a family vacation, and going through Sand'N Sea is the only way to rent on the Island and come away truly satisfied! Great property in a great location. The beach was perfect - long, shallow slope great for kids, well maintained (hardly any seaweed! ), and not crowded. The house was very well equipped for a crowd and comfortable. The drive in to Galveston is about a half hour - stock up on groceries so you don't have to make the trip every day! As usual, we enjoyed our stay. Ambiance is a very nice place to stay. We have stayed there several times and enjoyed every visit. If the kitchen faucet is fixed, it would be an excellent place to enjoy a beach vacation. 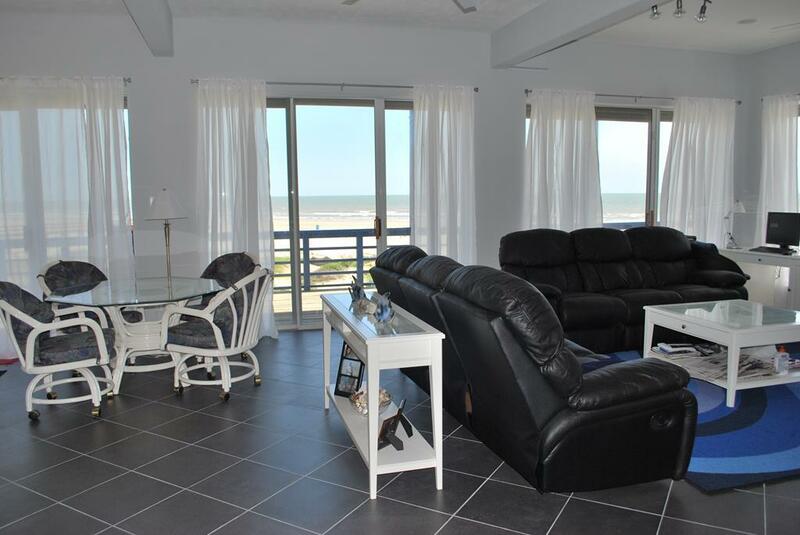 This is a perfect house for a good family vacation, and Sand-N-Sea makes it most enjoyable! 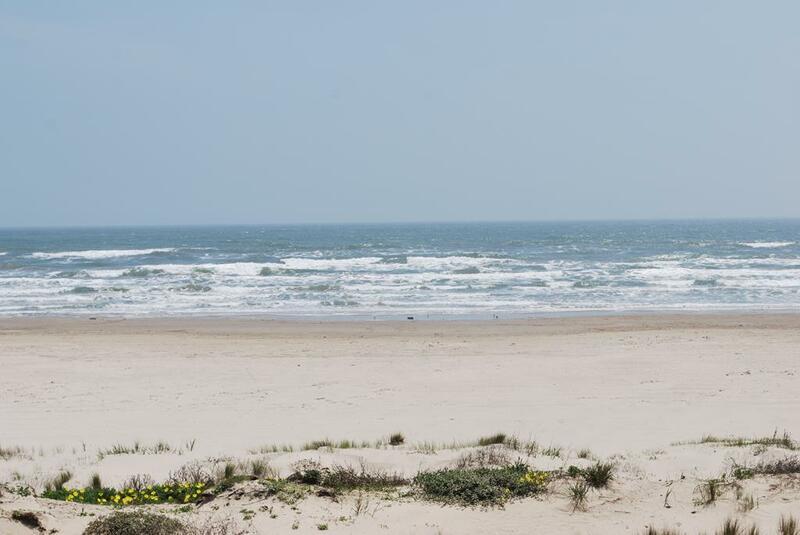 This is for the management of Sand-N-Sea, you have a great group of most friendly persons, they do deserve some first class amenities such as indoor pool and some beach vacations, so they can tell their clients all the good things about Galveston from their own personal experiences! We think we have a great staff, too. Great idea! This is a great family house, great view and location, very clean beach the best of all the houses and locations we have had on the Island before. 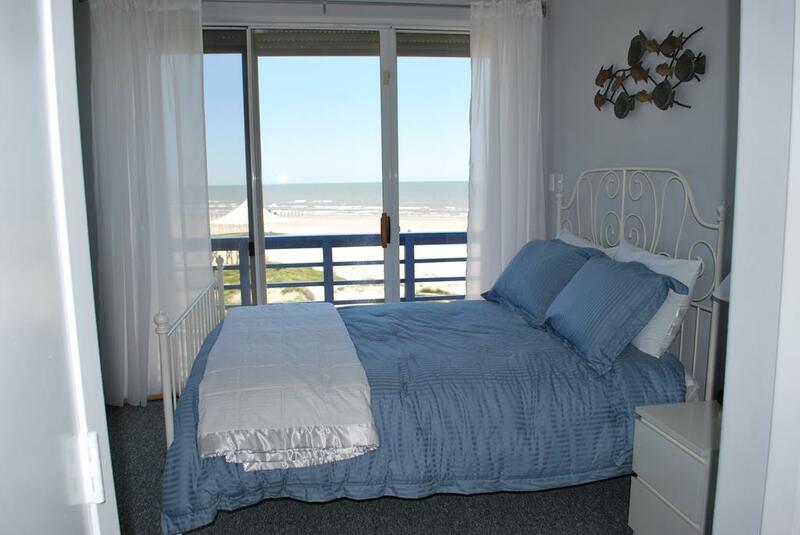 Sand-N-Sea is by far the very best Rental Agency to book your vacation rentals, very friendly and professional personnel and the quickest and most efficient way to enjoy your family vacation! 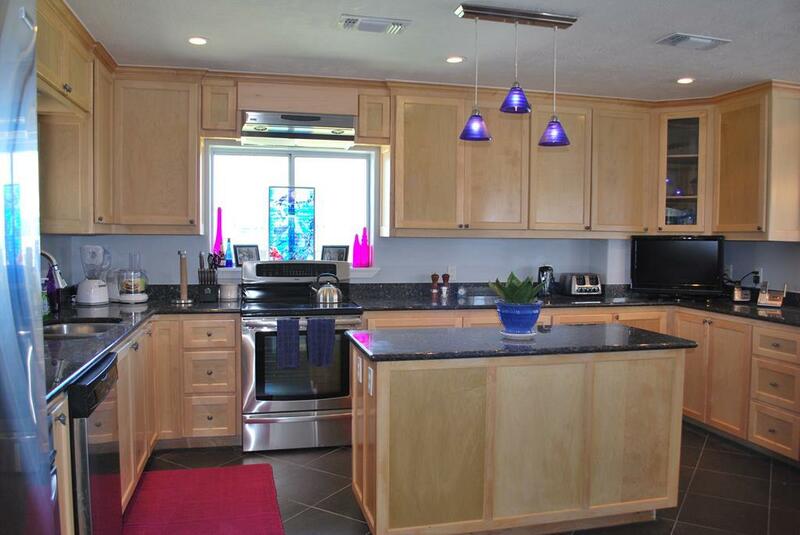 Beautiful property and well maintained. The kitchen was fully stocked. I was a little surprised that spices weren't in the kitchen. 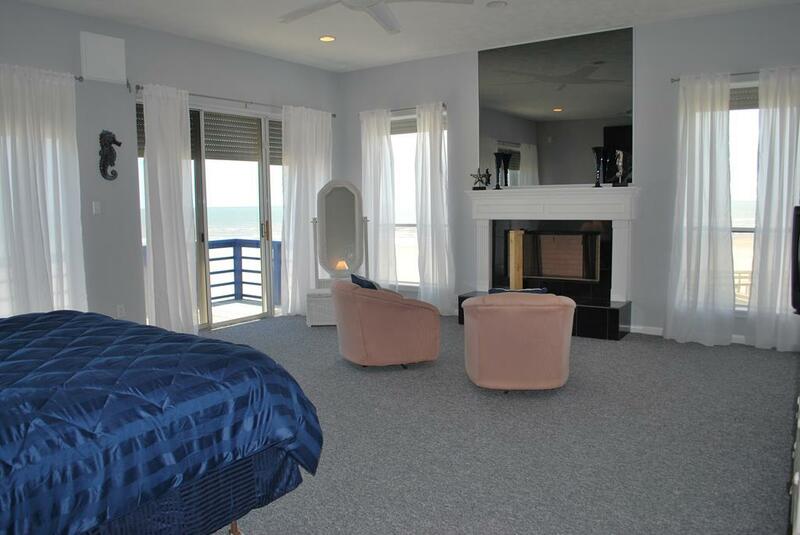 We rent beach houses yearly and I've never stayed in one that didn't have them. Great selection of paperback books and an awesome view of the ocean. The master bedroom was incredibly roomy and the view again was awesome. We would definitely rent this property again.